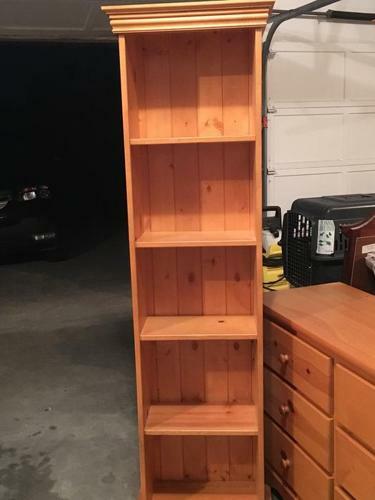 Pine bookcase, in great shape. Measures 20"wide, 11"deep, 71"tall. Take a look at my other ads to view more pine furniture in the same finish for sale. Sorry, no delivery available. Pine looking bookcase purchased from Wal-Mart. 72" H 28" W 12" Deep. Three of the four shelves are adjustable.